For more than a century and a half the real story of Scotland’s connections to transatlantic slavery has been lost to history and shrouded in myth. 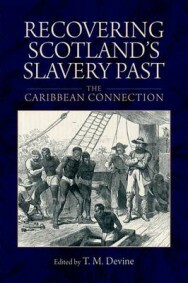 As this foreword shows, this important book by leading scholars and historians sheds light on a previously untold area of Scotland’s history by uncovering the country’s connection to slavery in the Caribbean. Scotland’s connections to slavery can seem tenuous, almost nonexistent. After all, few vessels left Scottish ports for Africa to participate in the horrific slave trade. By the end of the eighteenth century, when England had a black population of about 15,000, perhaps fewer than one hundred black slaves resided in Scotland. Furthermore, Scots were in the vanguard of the abolitionist movement; and Scotland can pride itself as a pioneering abolitionist nation. A country that was about 10 per cent of the United Kingdom population contributed at times about a third of the petitions to Parliament advocating abolition of the slave trade. Iconic figures such as James Ramsay and William Dickson were in the forefront of the opposition to the slave trade. Moreover, in Duncan Rice’s view, scholars of the Scottish Enlightenment ‘perfected most of the eighteenth century’s rational arguments against slavery’. Scottish philosophers discussed slavery at greater length than their continental counterparts. Adam Smith’s famous The Wealth of Nations contains a condemnation of the slave trade and slavery not only as morally repugnant but as economically inefficient. Is it any surprise that many general histories of modern Scotland fail to mention slavery at all? But the essays in this impressive collection make clear that, if Scots think their country has few or no connections to slavery, they are sorely mistaken. In effect, they are engaging in a form of collective amnesia, for in fact Scotland’s connections to slavery were extensive. Scots participated fully in slave trading from ports such as Liverpool, Bristol and London. At the height of the slave trade, a fifth of the ship captains and two-fifths of the surgeons manning slavers out of Liverpool, the world’s major slave-trading port at the time, were Scots. The image of Scots, dressed in tartan, playing golf by the slaving fort of Bance Island, Sierra Leone, points to the quotidian nature of Scottish involvement in that nefarious business. One Scottish slave trader thought so familiarly of slavery that he named his vessel after his daughter. This book shows that Scots owned and managed enslaved people in many New World slave societies – from Maryland to Trinidad, from St Croix to St Kitts. Scottish slave owners named many of their slaves and their plantations in ways to remind themselves of home. According to Edward Long, the historian of late eighteenth-century Jamaica, one-third of the whites on that island were Scots. Other societies such as Grenada and the other Windward Islands, as well as Demerara and Berbice, also experienced heavy Scottish influxes. In the early nineteenth century, Scots accounted for about a third of the planters on St Vincent. 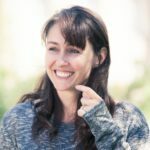 Scots fulfilled many roles within New World slave societies: from indentured servants to bookkeepers, from merchants to bankers, from attorneys to planters, from nurses to doctors. The scale of Scottish involvement in the slave economies and societies of the New World was therefore wide and deep. If Scotland can boast of its abolitionists, it should also take ownership of the many Scots who defended and profited from the institution. Even the slaves themselves took note of Scots: in one colony they tagged shellfish that clung to one another as clannish Scotchmen. The economic links between Scotland and New World slave societies were impressive. Slave societies provided markets for Scottish textiles, herring and a range of manufactured goods. In turn, those societies supplied Scotland with tobacco, sugar, rum, coffee and cotton. Capital from the Chesapeake and the Caribbean made its way into Scottish industries and landownership. Indeed, as Sir Tom Devine suggests in Chapter 11, the small scale of the Scottish domestic market and the nation’s relative poverty probably accentuated the impact of the slave-based economies of the Atlantic. As he notes, there is evidence pointing to ‘an even greater per capita Scottish stake’ in British imperial slavery than for any of the other nations of the United Kingdom. At the same time, this outsized Scottish involvement in the slavebased economies of the Atlantic must not be exaggerated. The Scots were not much of a presence in Barbados or some of the Leeward Islands. Between 1750 and 1834 only about 34,000 Scots travelled from Scotland to the West Indies, a small proportion of the Scottish population of just over 1.5 million in 1801. Furthermore, the Caribbean was a graveyard not just for slaves but for immigrant whites, many of whom died within a few years of arrival. A commercial handbook published in 1766 for ‘men of business’ in Glasgow recommended sending ‘two, three or more’ factors to the West Indies so ‘that on the death of one’, others could replace him. The famous volatility of the Antilles took its toll on Scots. The impact of slavery on the homeland was also limited in some respects. As Nicholas Draper emphasises in Chapter 8, only ‘between 5 and 10 per cent of British elites were close enough to the slave-economy to appear in the compensation records, as owners, mortgagees, legatees, trustees or executors’. The other 90 to 95 per cent had no discernible connections to slavery. Scotland, it is true, is over-represented among absentee slave-owning claimants, accounting for 15 per cent of them. Still, the point Draper makes about the general significance of slavery also applies to the Scots, namely that ‘slave wealth could be incidental in the sense that other sources of wealth appear to dwarf it in the composition of an individual’s overall net worth’. More work therefore remains to be done precisely linking slavery to Scots at home and in the diaspora. The impact on Scotland – not just measured in investments but in everything from diet to country houses to material culture – will also need careful and precise calibration. But any claim that Scotland grew rich from slavery may not be easily sustained. The flow of profits from slaving and slave-related business, while notable, probably accounted for only a small proportion of domestic capital formation. The value added by the Caribbean sugar sector was approximately 2 per cent of British national income. As Devine notes below, ‘the origins of industrialism were far from being monocausal’. Rather, he adds, ‘the commitment of the landed elites to economic improvement, indigenous levels of literacy, the practical impact of improving Enlightenment thought, English markets within the Union, new technologies and the indigenous natural endowment of coal and ironstone resources, inter alia, were all part of the mix’. Slavery was important to Scotland’s development, as these essays abundantly and rightly demonstrate, but quite how profound the institution’s impact was awaits further investigation. Still, these splendid path-breaking essays point the way forward, by providing a sturdy foundation on which others can build. Recovering Scotland’s Slavery Past: The Caribbean Connection edited by Tom M Devine is out now published by Edinburgh University Press priced £19.99.